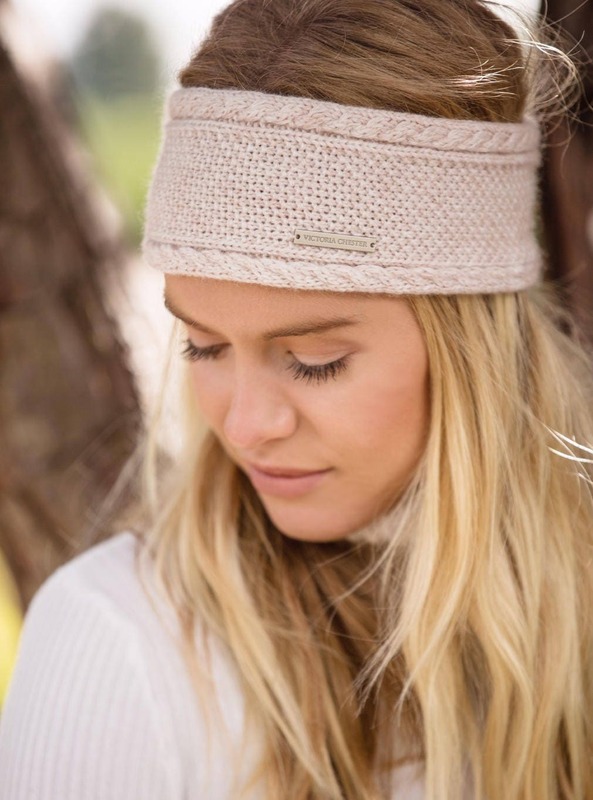 Beautiful handmade headband/ earwarmer using luxury 6 ply pure Mongolian cashmere. The lead picture shows the colour pale pink. 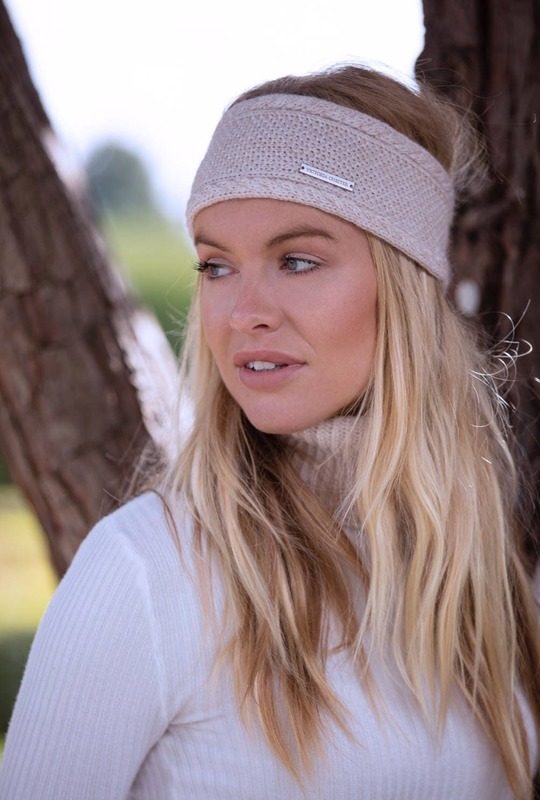 These luxury headbands have a double thickness soft cable edge which borders a stylish central panel worked in seed stitch & are finished with the exclusive 'Victoria Chester' logo. 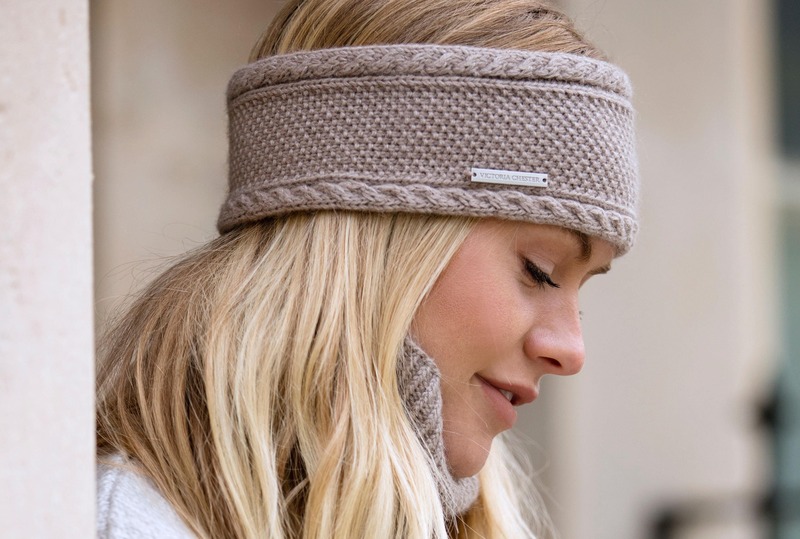 Not only do these headbands add a highly stylish accessory for the cooler season, they are also lightweight, warm & practical - look fabulous & be warm! 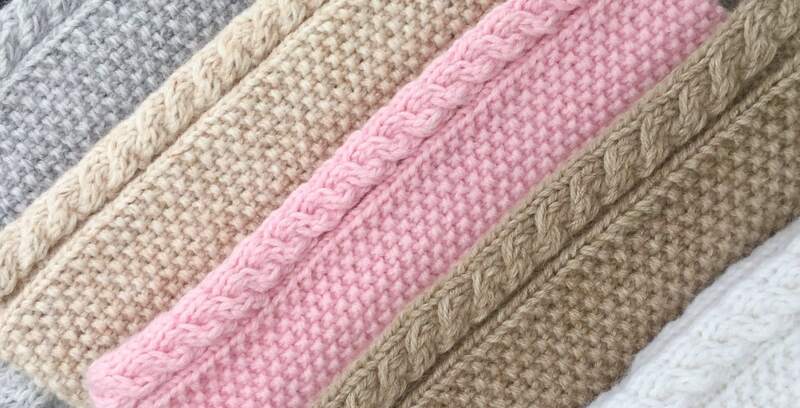 They come in a number of lovely subtle tones for this season plus also black & navy blue. 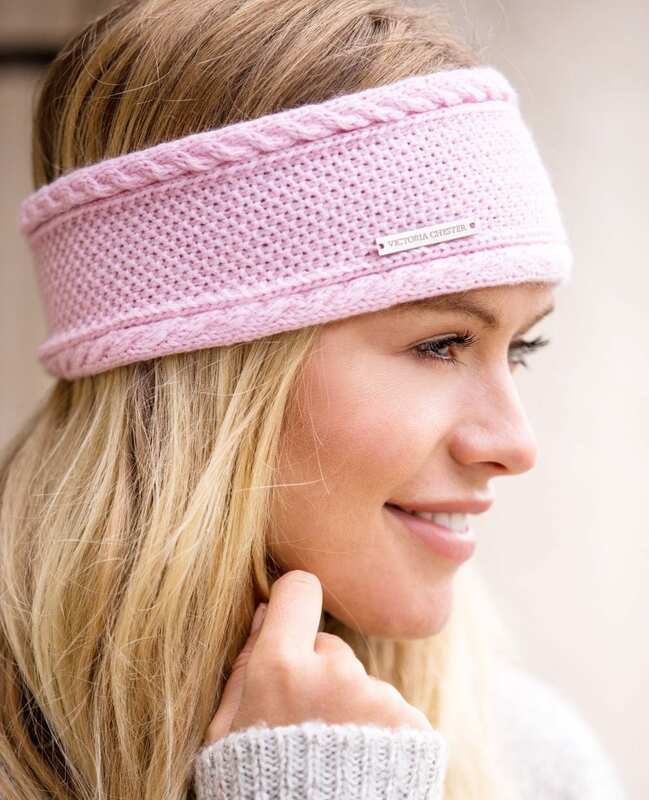 Each band has a depth of approximately 10cm & a circumference of 45/46cm which gives to snuggly fit most average ladies head sizes. Fingerless mittens, snoods, hats & scarfs to match are also available. Thank you. It is soft and beautiful. Will come again for sure.